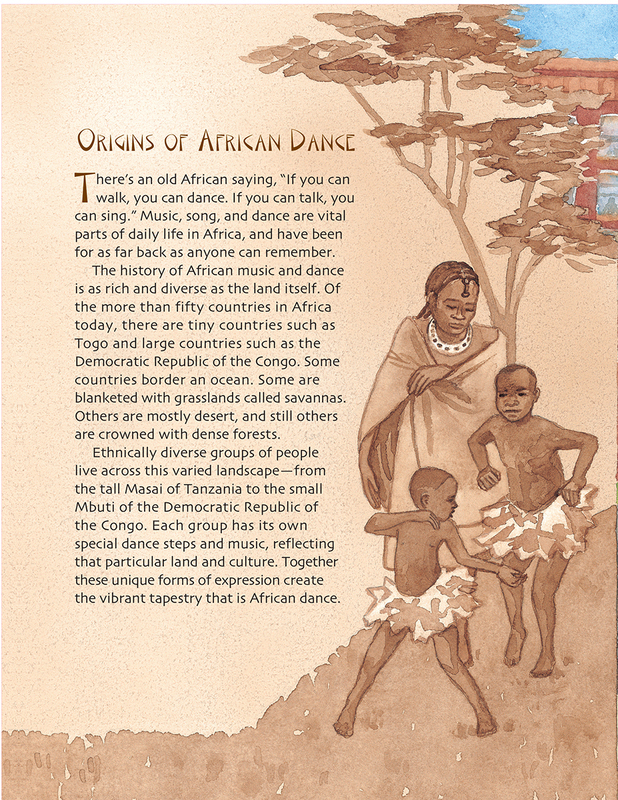 Using Drumbeat In Our Feet and the IES’s process, my target words are origins, vital, ethnically, diverse, unique, vibrant and varied from the “Origins of African Dance” excerpt in Drumbeat In Our Feet. See how I chose these words here. Lee & Low: I would read the text aloud so students who cannot comprehend the text independently can access the text whole group. All students should be able to follow along with their own student copy. Only constant interaction with the print and following along will allow students to connect with what I am saying and how I say it with what they are seeing in the print. Lee & Low: Over the course of 5-8 days (lesson periods), I would focus on a couple of aspects of each of the new vocabulary words. On a whole class chart where the target words are listed, I would add a new component to each word each day in order to deepen the meaning and foster familiarity with the words for students. Together we will create a student-friendly definition; write synonyms, antonyms, examples, non-examples; determine parts of speech; draw a picture or create an action/gesture to represent the words; list related word forms and any cognates; break the word down into word parts; and use the word in a meaningful, student-generated sentence. For example, Monday I would read the excerpt, introduce the target words, find the target words in the text, and come up with a definition for each target word. Tuesday, I would revisit the chart and add synonyms, antonyms, examples, and non-examples for all the vocabulary words to reinforce meaning. Wednesday I would cover part of speech and concrete representations, and so on. Below is how I would teach my target word, origins, from Drumbeat In Our Feet but I would cover all of the target words each day. draw a picture to represent the word: I might draw a lake with a river leading up to a mountain and arrow pointing to where the river starts. use the word in a meaningful, student-generated sentence: We hiked from the lake up to the mountain looking for the origins of the river. The original owner of this house built this house all on her own in 1956. Remember: This is a process I will repeat each week or every 5-8 lessons with a new text and set of target words. While my students may know only up to 400 new vocabulary words by the end of the year, this repeated process will allow them to tackle new vocabulary words in other content classes and in independent reading. Next week, we will take a look at how to incorporate the selected vocabulary into activities that support listening, speaking, and writing practice for English Language Learners.